According to the Government of Ontario, most fatal fires occur at night when people are sound asleep*. That's why installing a high quality smoke detector or carbon monoxide alarm is so important to you and your family's safety. 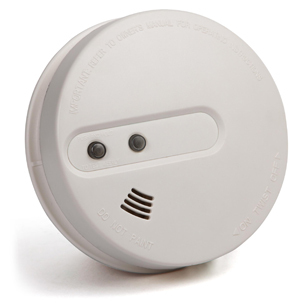 We highly recommend an interconnected smoke detector & CO system for your home or business. In fact, it's the law! As of March, 2006 the Ontario Government has made it mandatory for homeowners, landlords and tenants to install alarms on every storey of their dwelling, outside sleeping areas. Toronto area residents: For a free installation quote please call 416-535-9693. Tesla Fire Systems stocks a full supply of Kidde CO and fire alarms, to make sure you sleep safely at night.